#AirAwakensApril: What It Is + Prompt Explanations! Hey guys, so I have had a lot of fun hosting #instaBAMF on Instagram with Dani from Dani Reviews Things who I am also co-blogging with on Books Are My Fandom (#BAMF) so we have decided to host more Instagram challenges in the future! In fact, we will be hosting one a month so you should probably follow me on instagram so you can check those out (see how smooth that was). A lot of the challenges are based on the Air Awakens Series, but feel free to be creative and make them your own if you haven't read the series yet! And if you haven't, I talk about why you SHOULD read the series in this post! 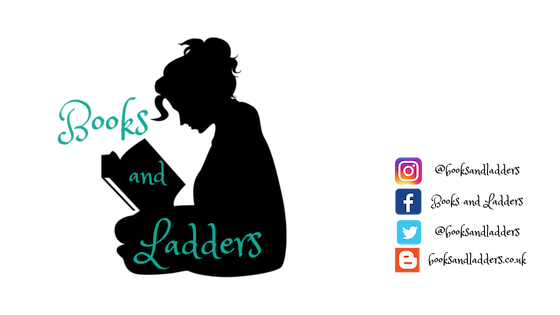 Down below I try to explain what the challenges mean and what you can alternatively do if you haven't read the series or don't have the books or just want to participate in this challenge without spamming your followers with Air Awakens stuff. I will probably be doing the latter and I am an AVID fan of this series! Anyway, here is the challenge image! Feel free to share and save so you can refer to it for the challenges! When posting, make sure you use the hashtag #AirAwakensApril so everyone can see your posts. As well, please tag me, Dani, and Sabrina in your posts so we can see them and, if you would like, you can tag Elise in the ones that you feature Air Awakens in! - This one is all about those opening lines that really grabbed your attention and made you stick to the book, the ones that automatically transported you to another world. It doesn't have to be Air Awakens, but it'd be AWESOME if you told us which AA book really nabbed your attention! - Air Awakens focuses on Elemental magic, but what other series do you love and enjoy that also have elemental magic in them? Show them off! - Have you won swag in a giveaway? Gotten bookmarks as part of the Street Team? Made your own? Show me all of it! - Minister Victor loves him some tea, so help the #ShadyMinister out and tell him what tea you drink while you read a book! - Elements galore! Show us some water with your books! Alternatively, show us your blue and purple books or your books with water on the cover! - The cover art for this series is one of the first things that made me fall in love with it! So which of the covers has been your favourite so far? - There are so many wonderful characters in this series, but we want to know which of the characters resembles you the most! Extra props for cosplay! If you haven't read the series, you can check out some of the characters descriptions HERE and you can tell us which one sounds most like you. Alternatively, tell us what elemental magic you would like to have if you lived in this world! - What is the longest fantasy book you have read and finished by page count, not by series! - As I have mentioned, the #AirAwakens series appealed to me at first because of the covers, but what are some of the other books or series you have purchased because of a beautiful cover? - Have you been in a store and thought "OMG Vhalla Yarl would TOTES wear this"? Show me. Please. Then tell me where to buy it so I can channel my inner Vhalla Yarl. - Much like with the Water photo, we want to see your books + fire! But not too close, don't burn your books or yourself. Maybe put on one of those yule logs in the background. Alternatively, show us your orange and red books or your books with fire on the cover! - Elise has posted a lot of #MusicMonday posts. Find one from pre-Water's Wrath hype and tell us what you thought it meant in context of the book! - Who is your favourite character from this series? Again, if you haven't read the series, you can check out some of the characters descriptions HERE and you can tell us which one sounds most like you. - When you read this series, what other books did it remind you of? Tell me so I can read those too and love them! If you haven't read the series, tell us which book or series you THINK is most like this one! Which titles doyou hear being tossed around i nthe same breath as this one? - Elise has dedicated the books to some important people in her life (but not me, how rude). What has been your favourite? Or, what is your favourite book dedication? Some book dedications are HILARIOUS so show them off! - Creating magic systems must be TOUGH so tell us about some spectacular ones that you have read before! - Much like with the Water and Fire photos, we want to see your books + the earth! Alternatively, show us your green and brown books or your books with dirt or the earth on the cover! - What was your favourite graphic that Elise posted in the lead up to #EarthsEnd's release? Repost it! Alternatively, make your own #EarthsEnd graphic and show it off! - Which of these titles speaks to you? Show us! Tell us! Alternatively, what are other titles that have aliterations? - Air Awakens features two swoon-worthy princes! Which one do you like best? Haven't read the books? Please just tell me about a Prince in a novel has stolen your heart away so I can go read said novel and fall in love. - Do you own multiple of the Air Awakens books? Show me! If not, which books do you own multiple copies for? - HAPPY BOOK BIRTHDAY TO WATER'S WRATH! We all bought our copies, right? So show them off! Make sure you tag Elise in them so she can see how loved her books are. - Much like with the Water, Fire, and Ground photos, we want to see your books + the sky! Alternatively, show us your white and grey books or your books with the sky on the cover! - Not everyone has been so enlightened and read this series, so let's change that. Show off your favourite graphic that Elise posted in the lead up to #AirAwakens's release! Repost it! Alternatively, make your own #AirAwakens graphic and show it off! - Which duo or trio is your #squadgoals? Romantic or platonic tell us who and why! Alternatively, pick a duo or trio and tell us why they have the best friendship! - We never want the story to end but which ones have the most satisfying conclusions? Much like with Day 1, this doesn't have to be from the Air Awakens series, but it would be awesome if you told us which ending was your favourite! And that's it! I hope you all participate -- even for just some of the days! I know Elise has some special giveaways planned throughout the month for people who DO participate so that would be pretty cool too, right? If you have any other questions about what the prompts mean or how you could alter it if you haven't read Air Awakens, feel free to comment below, tweet me, or email me at jkramer@booksandladders.ca! Don't feel bad if you haven't read the series either! This month is about Air Awakens, but it is also about your reading habits and staying active on Instagram! Will you be participating? Which day are you looking forward to posting on?